Published February 20, 2013 at 3096 × 3816 in Florida: Inside Beautiful Bok Tower! Florida Mural Above Fireplace in Founder’s Room, Bok Tower Gardens, Lake Wales, Florida. 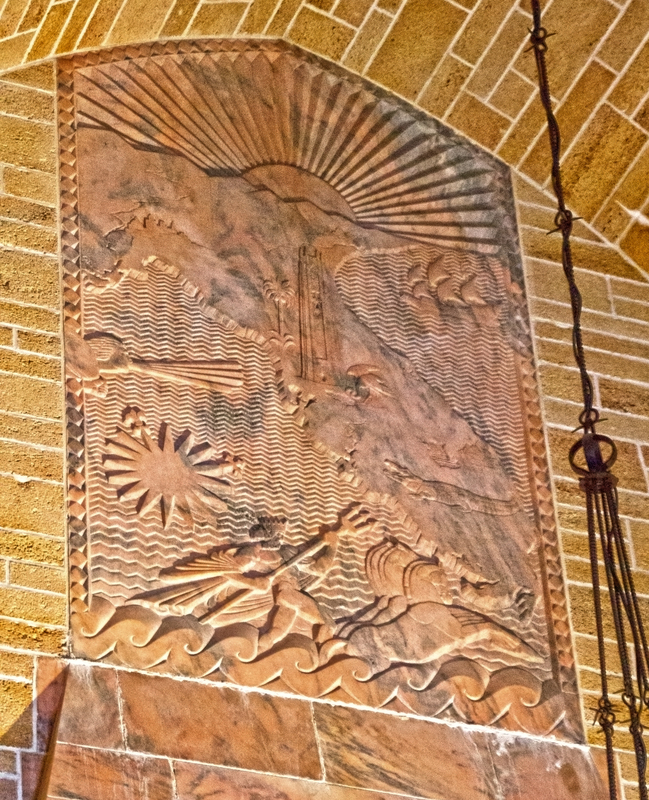 The carved pink marble mural shows an engraving of the State of Florida with Bok Tower in the middle, a sunrise above, flamingoes and alligator below, a figure blowing the wind and compass star on the left, a Spanish galleon on the upper right, and Neptune riding his horses in the sea at the bottom.